In addition to the beach with thin golden sand and excellent facilities, do not miss the attractions in Lignano Sabbiadoro for all ages. The Thermal bath of Lignano, renovated and modern, offer to its customers, in addition to the traditional services, also innovative programs for a wellness holiday for your health and beauty. The Lignano Golf Club stretches over a land surrounded by a pine forest and offers an 18-hole course, endowed with large lakes and bunkers, designed to meet the technical needs of skilled and less experienced players. Lignano Sabbiadoro has many marinas and little ports various in locations and services, for a total of over 5,000 berths. 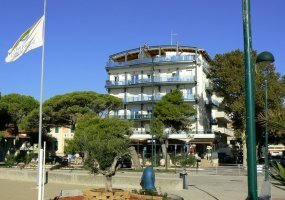 Porto Vecchio, built in the '30s as a military hydroscale, is located in Lignano Sabbiadoro, endowed with the landing stage of the line motorboats and the headquarters of the port authority. Marina Punta Faro is located in a strategic position, where the Marano Lagoon meets the Adriatic Sea. The technical assistance center, the tourist services and the Sporting Club make it a particularly important sports center. Marina Uno is instead located in Lignano Riviera, about 400 meters from the sea and from the mouth of the Tagliamento river. Marina Punta Verde is a 30,000 square meter water surface completely surrounded by the greenery located on the left bank of the Tagliamento river, close to the Zoo Park. Aquasplash: a water playground suitable for both children and adults. It offers 2000 square meters of water with pools of all shapes and sizes, a swimming pool with artificial waves, trampolines, 700 m slides (black hole, twister, kamikaze, boa, drop, twist, foam, kami, magical lagoon), tunnels, tanks whirlpools, games, waterfalls, trampolines and many other attractions. 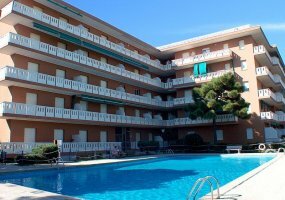 The park's offer, green equipped areas, picnic areas, bars, ice cream parlor, sandwich bar, pizzeria, self-service, changing rooms, cloakroom, showers, toilette, infirmary, shopping center and wide free parking. Gulliverlandia, located on an area of about 40,000 square meters, is a theme park mainly for families with children. The ACQUARIUM area is suitable for sea lovers and offers the opportunity to admire the seascape, walking in a transparent tunnel below the water level, including sharks, stingrays and moray eels. In the same area are the tanks with tropical fish.Dinosaurs are the theme of the Rapids Volcano area, while in the medieval area, in addition to several other attractions, tournaments of the era are organized.A mini train takes visitors through the Maja ruins, while in the modern area you can visit some of the most important monuments in the world. Also noteworthy is the 60-meter high Panoramic Tower, which offers beautiful views of Lignano, the lagoon and the sea. Inside the structure there is a brewery and a sandwich shop. The wide parking is completely free. Luna Park Strabilia: offers around 60 attractions and rides for children every evening. Parco dei Gommosi: consists of inflatable games and other entertainment for children (castles, ball pools, mazes, balloons and air cushions). At the Park dei Gommosi only the children pay, who can play on all games without time limits while parents have the opportunity to freely enter and exit the play area. Parco Junior: located in the heart of Lignano Sabbiadoro, is a large playground surrounded by greenery, featuring fountains and ponds where talented animators accompany and entertain children to play. Punta Verde Zoo Park: an enchanted oasis, rich in vegetation, crossed by streams and small lakes, with animals from all over the world. Among the parks worth mentioning, the Hemingway Park, established in memory of the American writer who called Lignano the "Florida of Italy", with 4000 tall trees distributed on four hectares of land crossed by an equipped gymnastic path, a playground for children and a small amphitheater, and the Unicef Park, inaugurated in 1987 during the world convention with outdoor swimming pool, minigolf and skating rink. The Alpe Adria Arena, located near the city hall, often hosts cultural, sporting, musical events and evenings with celebrities from the world entertainment. In Lignano Sabbiadoro there are many opportunities not to be missed. Look for the holiday home in Lignano, the bungalow, the apartment for rent, the hotel near the sea that meets your needs. Do not miss the economic offers in Lignano: book now!